But you already knew we made the best Cuban food! In addition to the six— yes, count ’em, six— 2014 Metroland Reader’s Poll wins, Carmen just snatched the prize for Best Cuban. We know there was never a Best Cuban before but they created the category just for us. We’ll call that a win! And that was before we had all these garden fresh tomatoes on hand–Imagine what we’ll be doing with them all week! 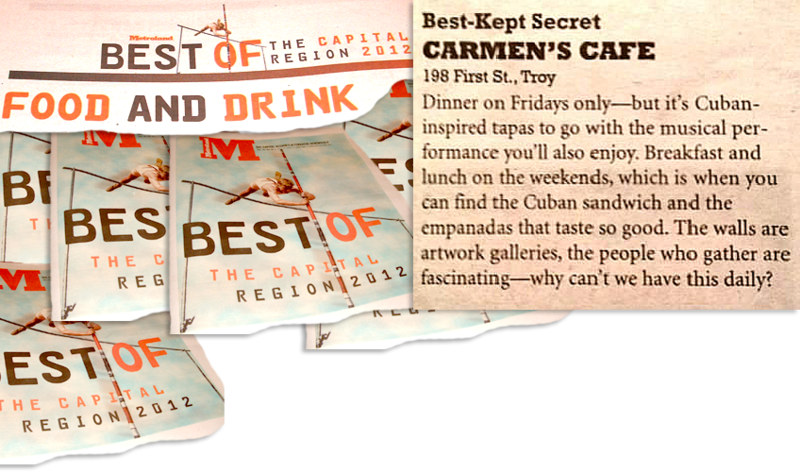 Metroland Readers Poll 2014 Names Carmen’s Cafe #1 Tapas/Small Plates! Metroland Readers place Carmen’s Cafe six categories! Carmen’s used to be South Troy’s secret. But the Cuban breakfast and tapas are too good to keep quiet. Carmen’s waged a good write-in campaign for Best Cuban food, but Roy’s takes top honors when all Caribbean islands are included. On behalf of all of us at Carmen’s, we thank you for your support! 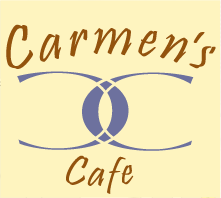 If you enjoyed your experience at Carmen’s Cafe Please tell others. If you didn’t enjoy your experience, please tell us so we can make it right for you.